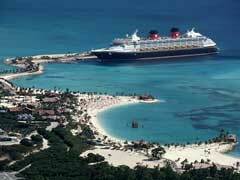 Disney Bahamas Cruise Review - Why Is It Best Experience? As with everything Disney, a Disney Bahamas cruise offers you the level of excellence that you expect from such a well-known brand. Disney strives to offer family entertainment in a safe and healthy environment with strict standards that are met by their many employees. When Disney puts their name on something, you are virtually guaranteed an amazing time and a cruise with them is no exception. A Disney Bahamas cruise departs from a number of different U.S. ports and allows you a stop at the beautiful Disney Castaway Cay, an island that is exclusive to Disney. Here you can enjoy various water sports, have a barbeque on the beach and enjoy all that the island and its surrounding crystal clear waters have to offer. A Carnival cruise to the Bahamas will give you the fun ship and the Bahamas, but you need to be on a Disney cruise to experience Castaway Cay. Swim with stingrays, learn how to snorkel, take a bike tour or learn about the ecosystem on one of the many offered tours from the Cay, which are only a few of the fun activities that await you on this stop. A Disney Bahamas cruise allows you and the family to dine onboard with your favourite Disney characters in themed restaurants and play onboard with the Disney themed activities and stage shows. Everything from the Disney parks comes alive on the ship, transporting you to a magical world of fun at every turn. As part of Port Canaveral cruises, a Disney cruise can be taken right from the gateway to Disney Parks in Florida, keeping you in the Disney spirit from beginning to end. The Disney brand is known for treating its visitors as guests. No request is too large or small as the staff aim to please. World class dining, amazing stage shows and a non-stop Disney experience can all be yours on your Disney Bahamas cruise. Whether you are travelling on your honeymoon, with your family or as a retired couple, the magic that is Disney will steal your heart and soul when you pick them over the many other lines that travel to the Bahamas. With amazing Disney cruise deals to be had at various times during the year and the hospitality that they are world renowned for, why go with anyone else?